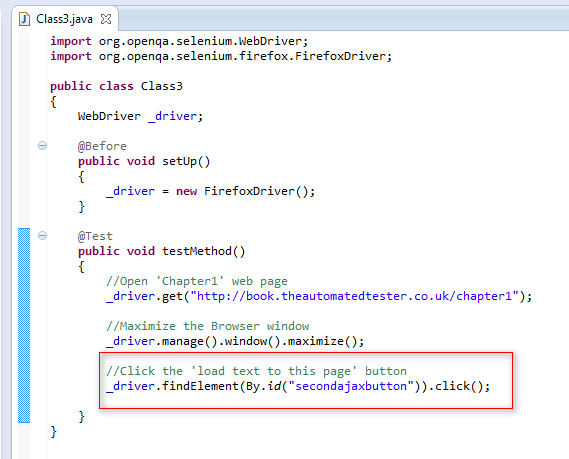 In this post, lets use click( ) predefined method for clicking a Button. 3. 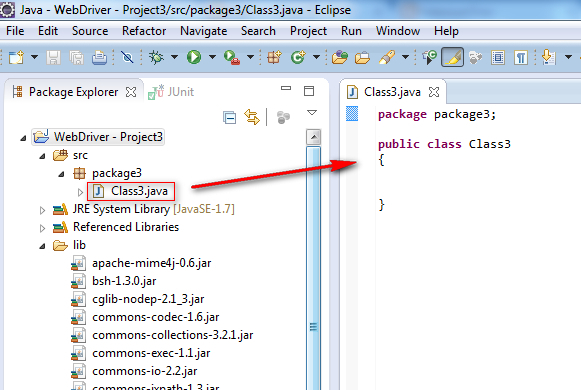 Create a package say 'package3' under the newly created project. 5. 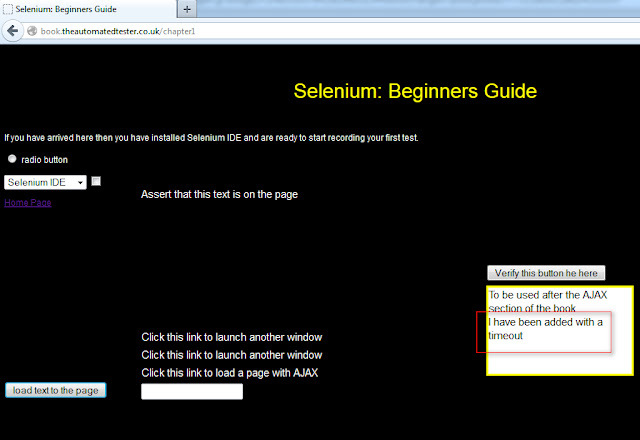 After seeing the above html code in the screenshot, its very clear that we've to identify the 'load text to the page' button using ID locator using the syntax id=Element_Id i.e. id=secondajaxbutton in this case. 6. 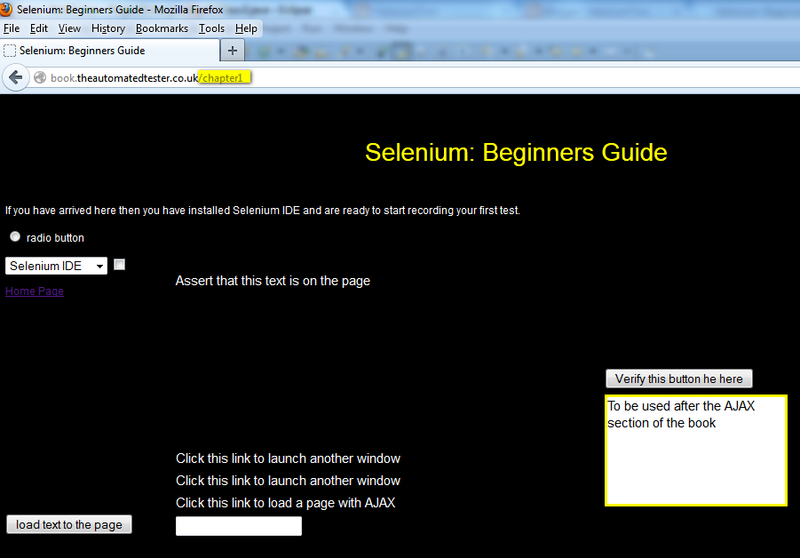 Also we've to use the above ID locator in the Selenium WebDriver Command which is used to click the specified button. 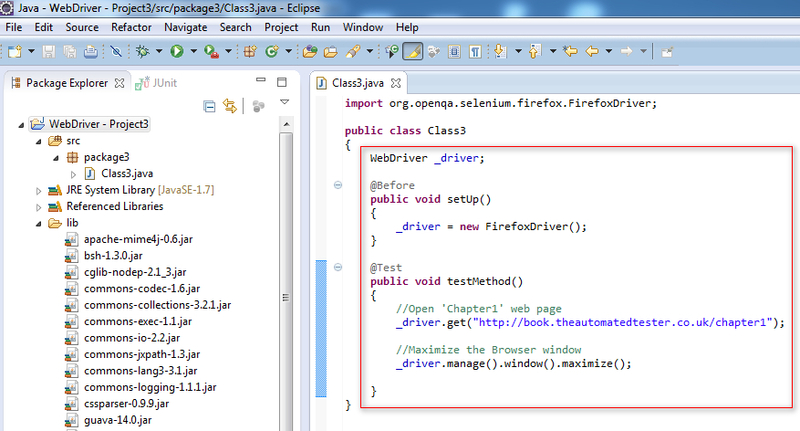 _driver.findElement(By.id("ID LOCATOR")).click(); is the syntax we've to use for clicking the specified locator. 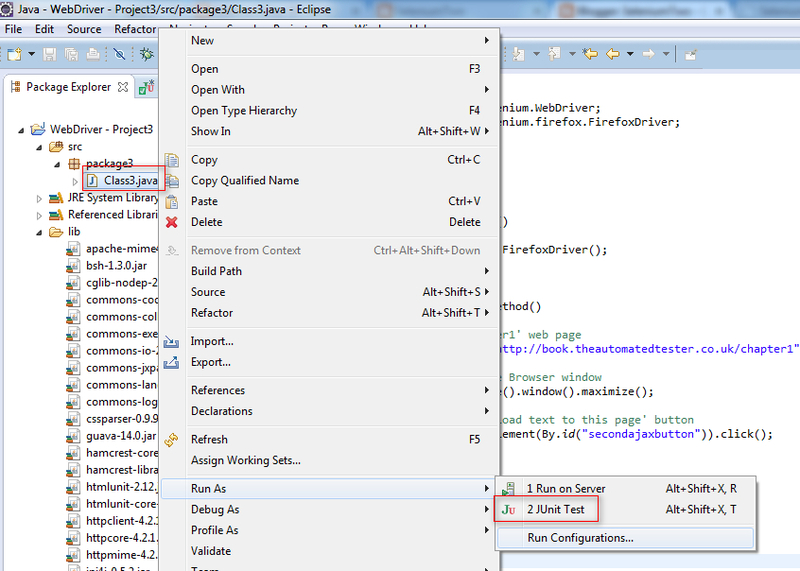 As the text 'I have been added with a timeout' will get added to the text box, only when the button 'load text to the page' is clicked. 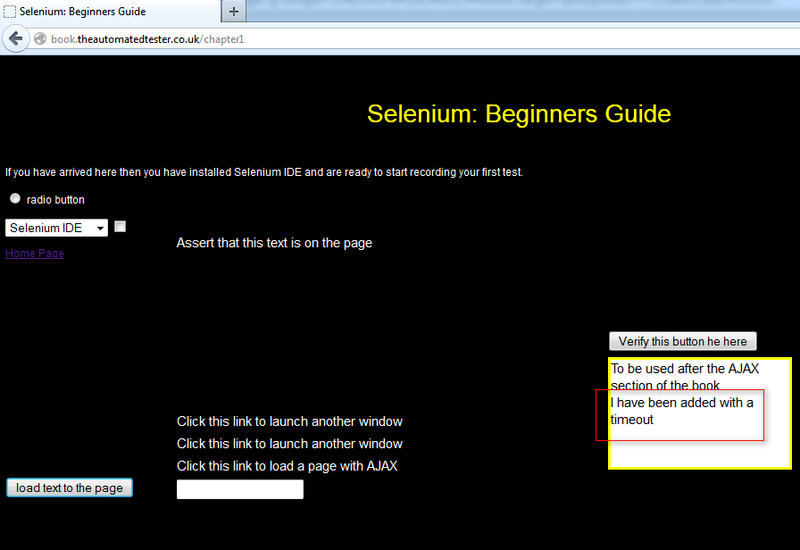 So we can now confirm that our Selenium WebDriver automation test has clicked the button 'load text to the page'. 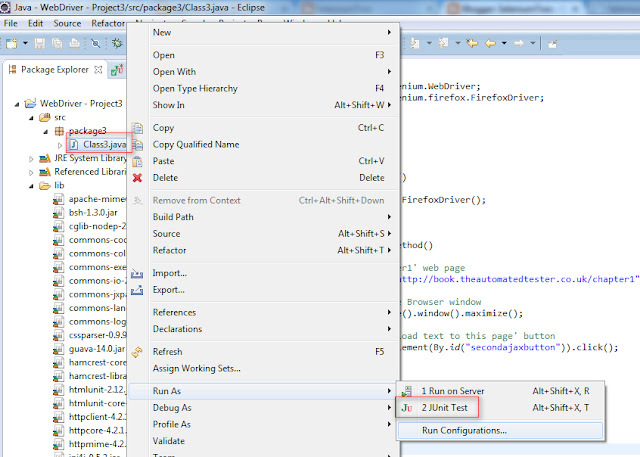 Using sendKeys( ) predefined method for entering text will be explained in the next post.